A classic IPA, bold, characterful and a nod to the rich history of British Brewing. 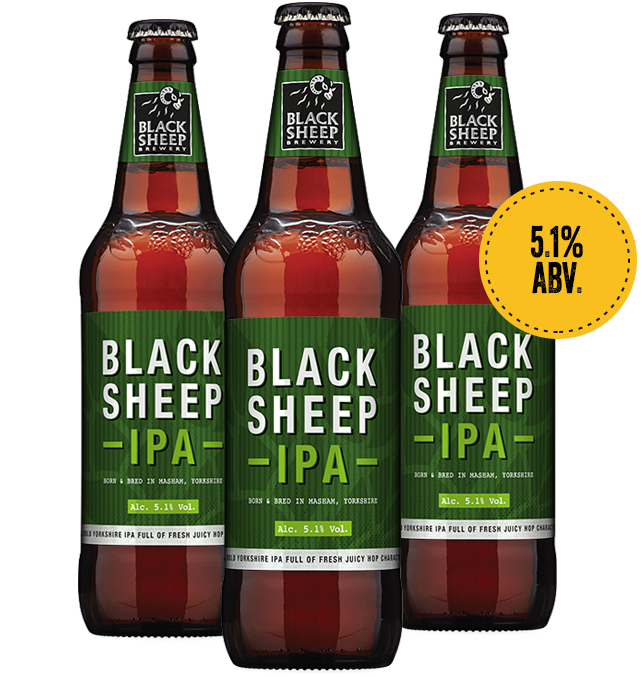 ‘Black Sheep IPA’ has been brewed in homage to the original, highly-hopped IPAs that were exported to British troops stationed in British India, as it was previously known, more than 200 years ago. This is an unapologetic brew, packing heaps of hop and bitterness. This India Pale Ale is true to the classic style, using a plethora of English hops including Progress and Goldings to pack it with a distinctly characterful flavour profile. A deep and potent, sweet malt base aligns with the bitterness to leave a superbly balanced ale.